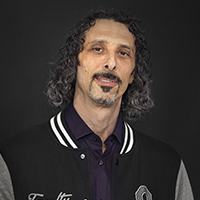 Kyle Kushman is an internationally renowned marijuana cultivator whose collaborations have earned 13 Medical Cannabis Cups awards, including three US Cannabis Cups for Best Flowers. All awards were earned by utilizing Kushman’s Vegamatrix, winner of the coveted STASH Award from High Times Magazine in 2014, hailed as the best new nutrient on the market. Kyle Kushman is a 30 year veteran of Organic Cannabis Cultivation. After working the Q&A section of their new website for several years, Kyle was hired as a staff journalist and cultivation expert for High Times magazine. In 2004 Kyle left New York and his job at High Times to go back to cultivating and experimenting with organic growing. California provided a legal atmosphere to grow. Kyle started Karma Consulting in 2006; a consulting service for Proposition 215 medicinal cannabis gardens. Kushman’s articles have been featured in High Times Magazine for over 20 years. In 2009 he began teaching advanced horticulture classes at Oaksterdam University in Oakland, California. Later that year, Kyle began cultivating with his own formulation of Veganics. He taught Earth- Friendly Cannaculture classes using organics and Veganics at the OU Oakland Campus, their North Bay campus at Peace In Medicine in Sebastopol, and in Ann Arbor Michigan to a class of over 300 students. Kushman Veganics is featured in the Jan. 2011 issue of High Times with a full 12 pages; coincidentally it was High Times’ 420th issue! Since then, there have been numerous articles published nationally about Kyle and his innovative techniques including the LA Times, Chicago Tribune, Rolling Stone, Forbes and the New York Times to name a few. Kyle blogs regularly on KyleKushman.com where growers can discuss all aspects of cultivation. Kyle has studied and used almost every nutrient, gadget and piece of equipment on the market today. As an internationally renowned cultivator and Cannabis Cup winner, he continues to contribute as a freelancer on a regular basis to many national and international publications. In addition, Kyle has been working on a book and DVD on the subject of earth-friendly Veganics. Additional projects in the works include Kushman Veganics, Kushman Genetics and Kushman Brands, where award winning flowers, genetics and various premier cannabis related items will be available on a national scale. Kyle has dedicated his life to understanding cannabis cultivation and to help normalize its use. This year, Kyle and Oaksterdam University partnered for the most exciting project yet: to bring Kyle’s Veganic Horticulture to the world through online education. The innovator of compassion and compromise, Kyle’s free information and resources have helped countless numbers of marijuana growers, and the benefits have extended to millions of patients around the globe. Society has leaped into a generation of sharing information at the speed of light. With a few clicks on an electronic device, we can transcend our thoughts and ideals to thousands upon thousands of people. You may find Kyle teaching all phases of organic cultivation across the country! Kyle hosts “The Grow Show” on CannabisRadio.Com which features growing tips of the week, interviews with industry experts and discusses the changing climate of cannabis culture. Kyle can be found on KyleKushman.com,Vegamatrix.net, Oaksterdam.com, Facebook and Instagram.